This HOME-FOR-ALL building was the first to be completed, just seven months after the devastating earthquake and Tsunami in 2011. It is located in the temporary housing area of Fukudamachi-Minami 1-Chome Park, in Miyagino-ku, Sendai. 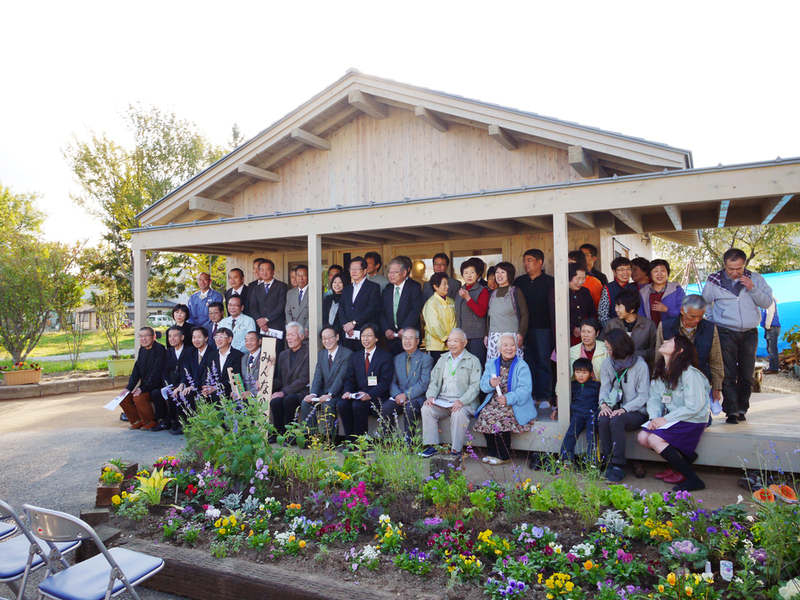 All of the timber structure for this house was pre-cut and sent from Kumamoto Prefecture in southern Japan as wonderful token of support from the Kumamoto Artpolis Tohoku Support Group. Everything for this small house, from roofing material to glass, tatami mats to screws – was donated. Craftsmen, students and volunteers painted the walls, made furniture, dug flower beds and made cushions! Toyo Ito, founder HOME-FOR-ALL said, "whilst we were designing this house we were residents in the temporary housing areas. From this first project Home-For-All for all was born. Now 3 years on the building is still used as a heart warming Oasis amongst the temporary housing. It was a fleeting stay, but we were able to understand the poignancy of the people's situation." Three years on, the house has been fully used as a place for living and welcoming oasis form the devastation of the earthquake. 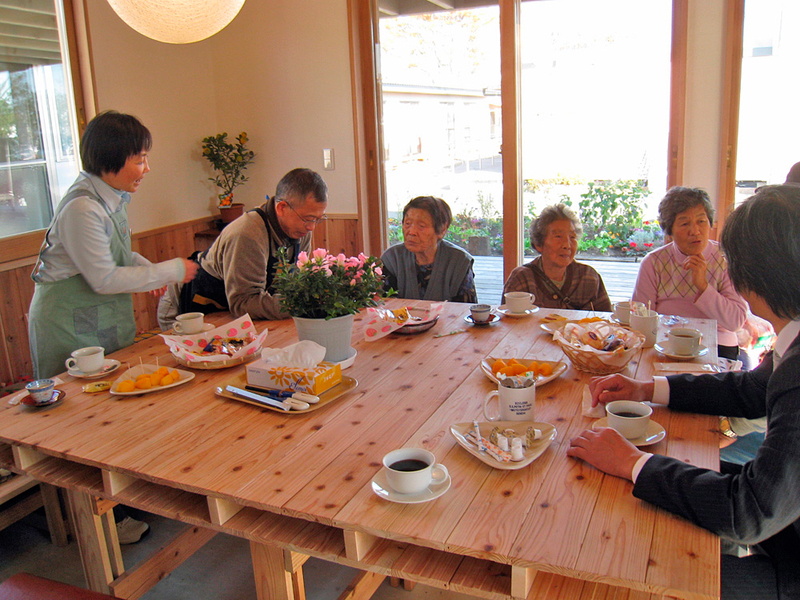 Client: Kumamoto Art Polis Tohoku support committee for promotion to build "Home for All"